This kids youth tee features Superman with his dog. Superman's dog is called Krypto. 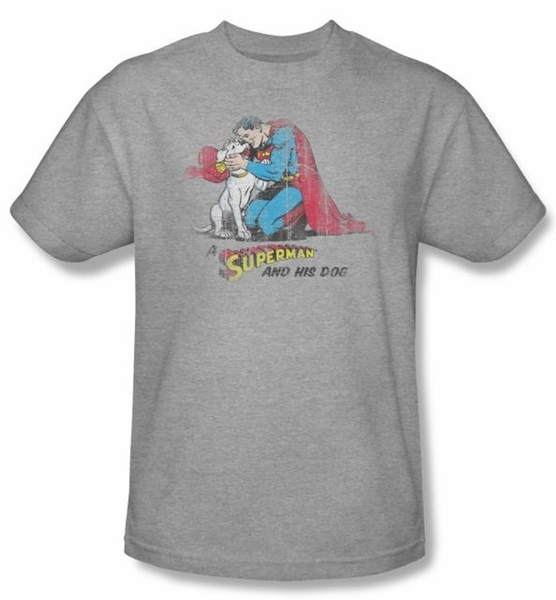 When he's not fighting crime, Krypto has his own secret identity. He goes by the name of Skip. Also available in Toddler sizes: Small (4), Medium (5/6), & Large (7)! "Infant Sizes" "Select Size" "2T" "4T" "6T"